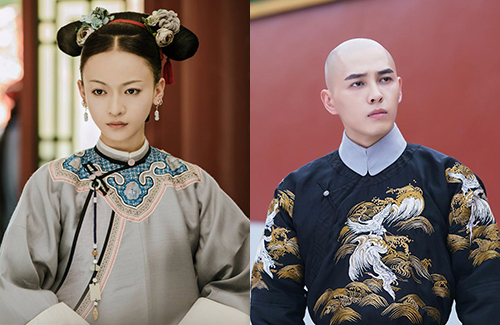 Fans were in shock when dating rumors between Wu Jinyan (吴谨言) and her Story of Yanxi Palace <延禧攻略> costar Hong Yao (洪尧) began to surface. A netizen said they spotted the rumored couple vacationing in Bali with Jinyan’s parents. The netizen went into slightly more detail in a private message exchange with an alleged Wu Jinyan fan, who said he/she was “heartbroken” by the news. The netizen said, “Ah, so you don’t want your Yanyan to have a boyfriend […] one needs to consider your own future, after all.” The netizen then clarified that they saw Jinyan on the island, and not on the plane. 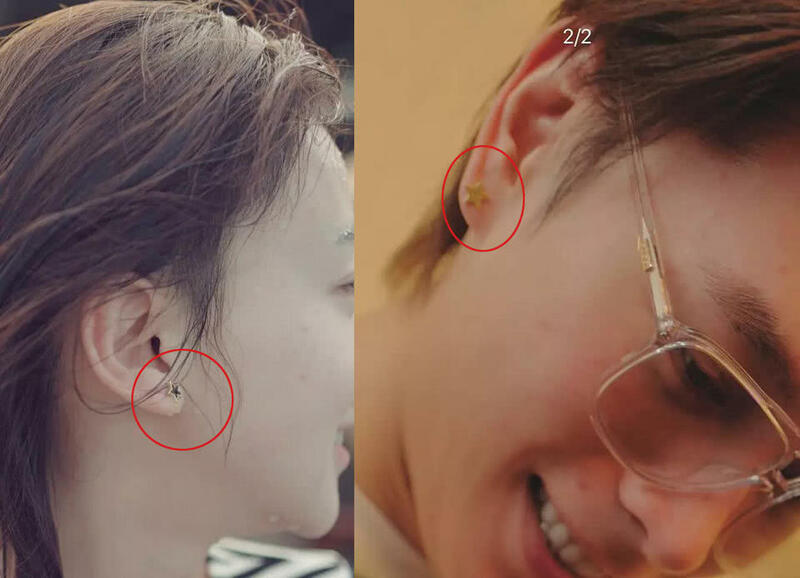 As the rumor seemed to have come out of nowhere, some fans were still skeptical of the news, but after some more deep digging done by netizen investigators, Wu Jinyan and Hong Yao’s dating rumor doesn’t appear to be too far-fetched anymore. The first “clue” was a music playlist. Netizens noticed that both Jinyan and Hong Yao had been listening to the same music playlist, “The 100 Songs of Indonesia,” at around the same time according to their social media. On February 23, which was around the time that the pair was allegedly spotted in Bali, Hong Yao updated his Weibo telling his fans that he’s gotten very tanned. The second clue was that both Jinyan and Hong Yao had started following each other’s music playlist. The third and fourth clues were speculated couple rings and earrings, as both Jinyan and Hong Yao were seen wearing similar looking rings and earrings in recent photos. 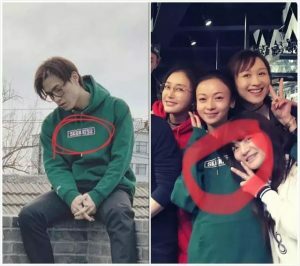 The fifth clue was an oversized green hoodie that Jinyan wore at a wrap-up party for Yanxi Palace. Hong Yao owns the same one. Back in July 2018, Jinyan and Hong Yao were in Yiwu, Zhejiang to support Tan Zhuo’s (谭卓) stage play. Jinyan did not fly back to Beijing until three days later. A netizen who was also at the play claimed that Jinyan and Hong Yao appeared really close with each other. Finally, back in August 2017, Jinyan’s classmate and alleged ex-boyfriend Benjamin Xiao (肖丰震) uploaded a vague message on Weibo that seemed to be implying that Jinyan had broken up with him. But even with all that said, Jinyan has decided to respond to the rumor. She denied the dating rumor by sharing a meme on Weibo. “I’m not… I didn’t… stop making things up,” the meme said.